Expansion – continuing to build! The construction of the new Rolling Hills Residence has been an ongoing project for the past three years. We have been limited by funds, weather and a need to continually make changes to satisfy the requirements of the Kenyan government to provide for orphans. With our program receiving government approval, licensing, and some funding, we have made sure satisfy all government standards. 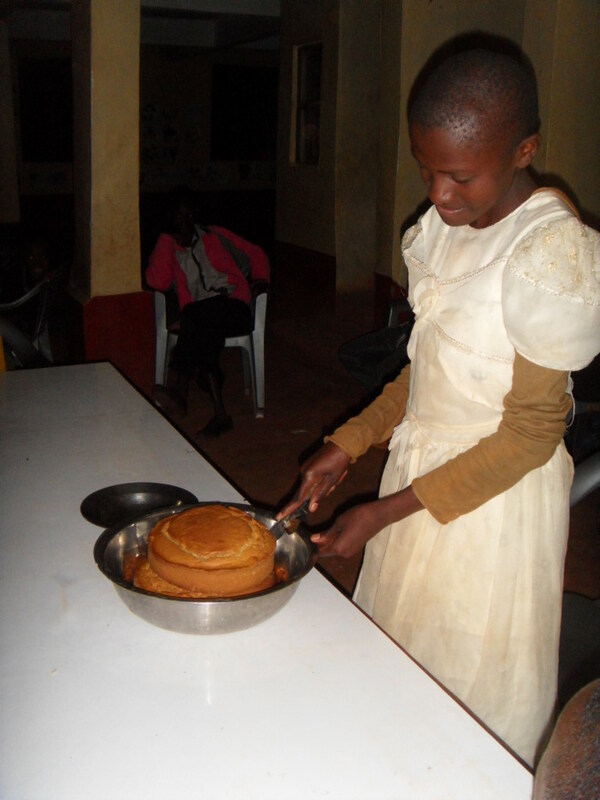 While these changes have resulted in delays and additional costs it is reassuring to see the stringent conditions and supervision that is now in place to make sure that the orphans are given proper care. Both pictures are taken from the front and the ground floor is our dining hall and kitchen area – which have been in use for almost eighteen months. The second floor is the girl’s residence. They have continued to be housed in our original building but will be in – hopefully – by May. 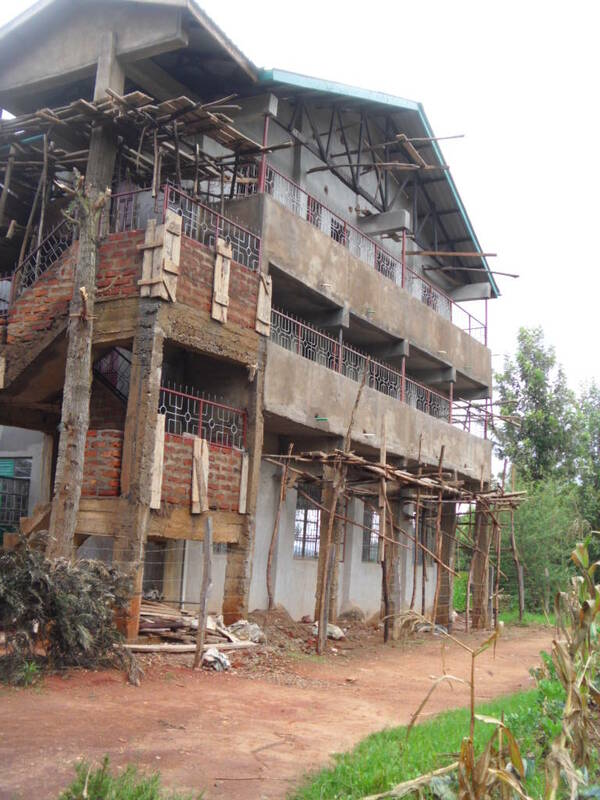 The top floor – with a separate set of stairs is the area which will house the offices for our program, the library and a conference room which will be rented out to the community to provide ongoing funding for the orphans. Unseen from this angle are the two lower floors (the building is built on a slope) which already are home to the young boys’ residence and the older boys’ residence. 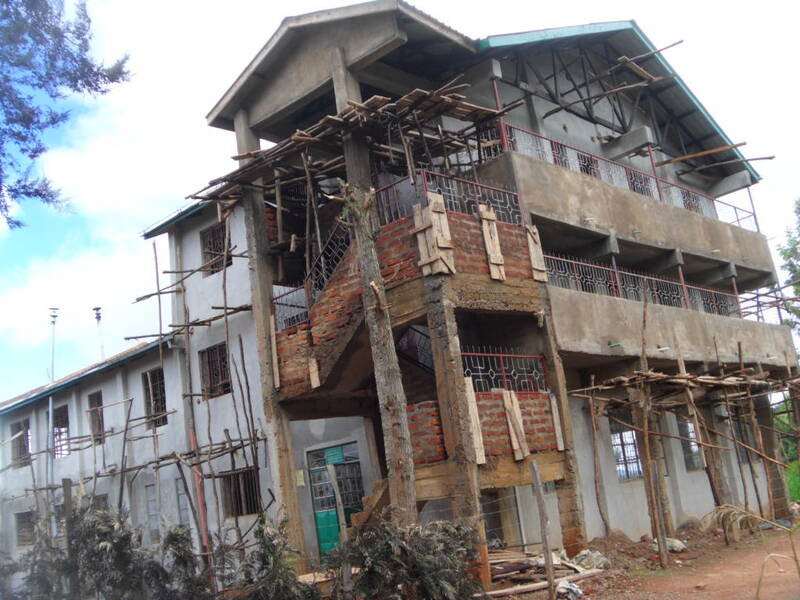 Ruth has indicated that the final construction costs are approximately $2000.00 and we sent the money over. I look forward to seeing the completed building when I travel there this summer! This donation is being used to provide support for a ten day period. I’ve ‘topped’ up the donation by putting in $7.13 so they can have a sapling for each child! This donation of $62.50 provided one day of support (all residents fed, routine medical care, school supplies, salaries of matron, tutor and night watchman, electricity, water and sanitation for the building) as well as saplings being planted. 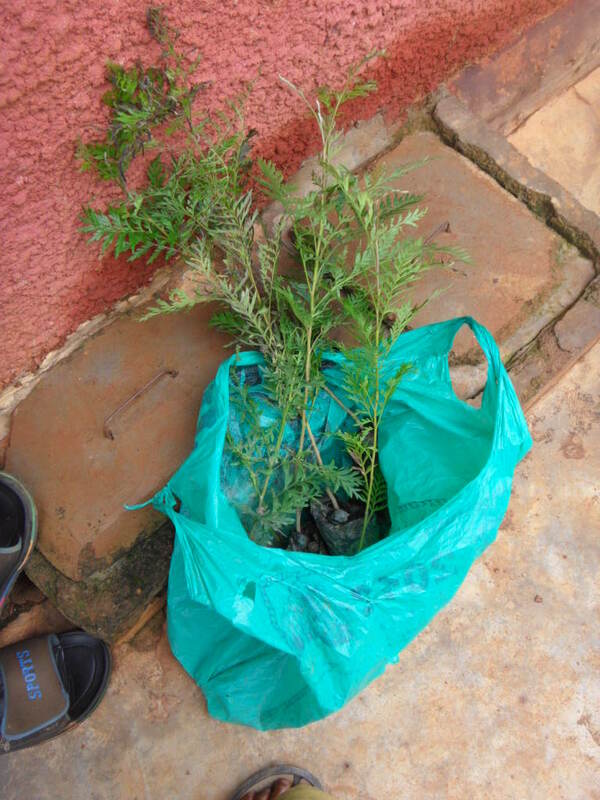 Planting saplings is an important thing for the community. Deforestation is a major problem throughout the world. We plant trees that fall into two categories: those that eventually produce lumber and those that produce food. In both cases they provide shade, anchor the soil and play a small part in climatic stabilization. I am a Sk/grade 1 teacher at a public school in Barrie ON. We met in early December when you spoke to the students of Johnson Street School. I was very inspired by your presentation and especially motivated to help with your Creation of Hope program. 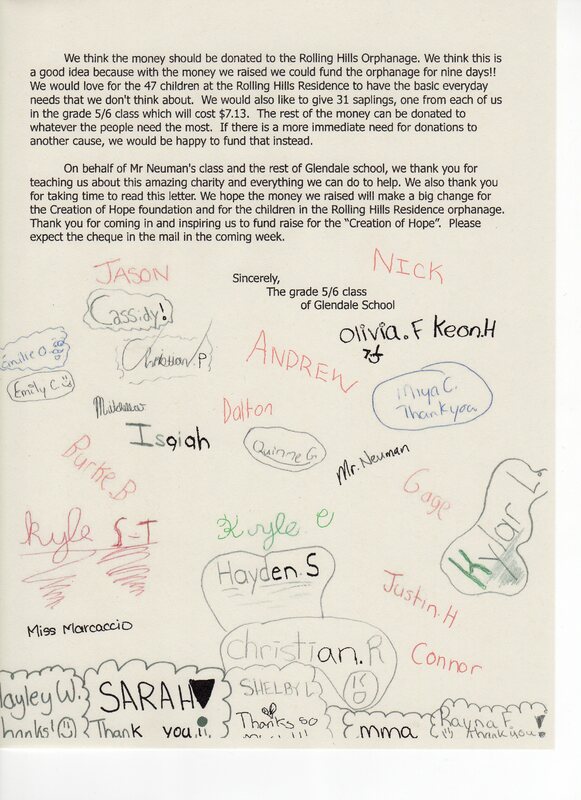 The idea of “Pennies for Hope” was my attempt to show my students that they can do great things if they work hard! We read your website, some of your books, and other information about Kenya. We wrote announcements (and read some on the P.A. system), we wrote Journals, stories and letters. The students had to sort, count, add and roll the coins. We graphed the results of each classroom’s donations and the choices the children made about how they would like the money to be spent. After week 1, we raised $100. An amount much higher than most of my students can count! As the second week progressed, it became very obvious that we were on a roll (pun intended!). I tried to encourage the children by telling them if we raised $300, I would call the newspaper and get their picture in the paper! Nothing like a few minutes of fame to motivate! The children are very proud of themselves and I have seen amazing things in the past 2 weeks. 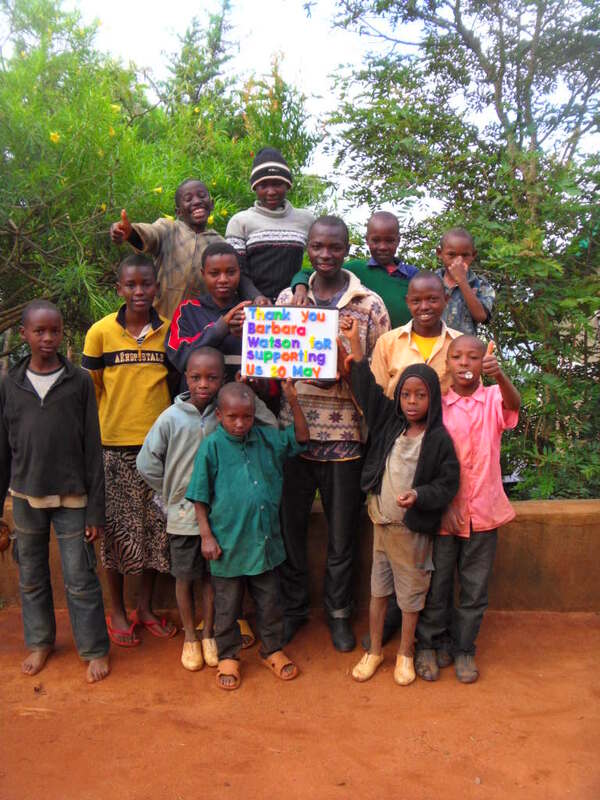 I know when we get an email back from Kenya they will be excited beyond belief! I am looking forward to seeing their reactions. This has been a great project for all of us! Here are a few notes from my students. I am Alex in Mrs. K’s class. We raised $490 for your orphanage. 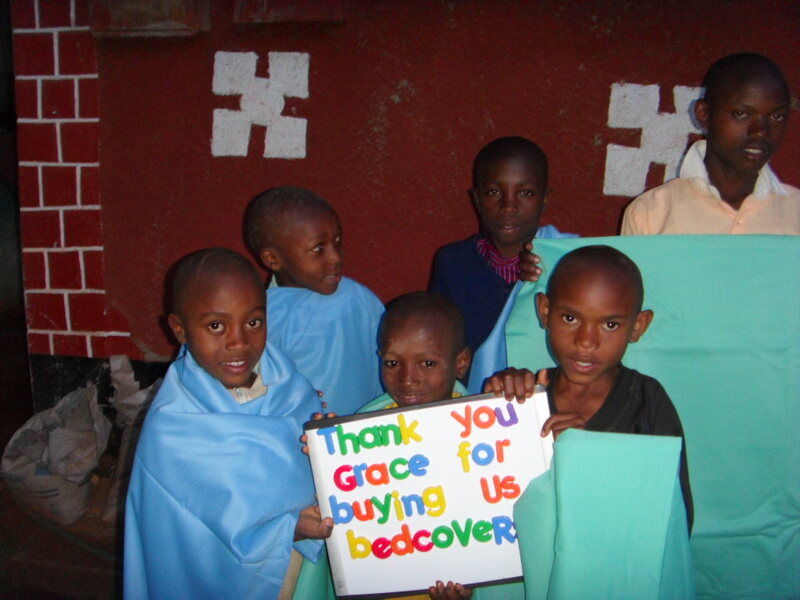 Please buy 81 blankets. Again I thank you for the inspiration to make learning more meaning to students. I wish you continued success with the Creation of Hope program. We look forward to reading more of your books! Right now the children are being assisted by their teacher in determining how they want the money spent. Once they know they will contact us and we will arrange for the funds to be used for those things and pictures sent back. Thank you Cindy and students! We received a $100.00 dollar donation from Ray Lewis E.S. under the leadership of Sandi Inglis. I was presenting at St. Leo in Brantford. At the end of the presentation the students decided to donate pennies that they had been collecting. 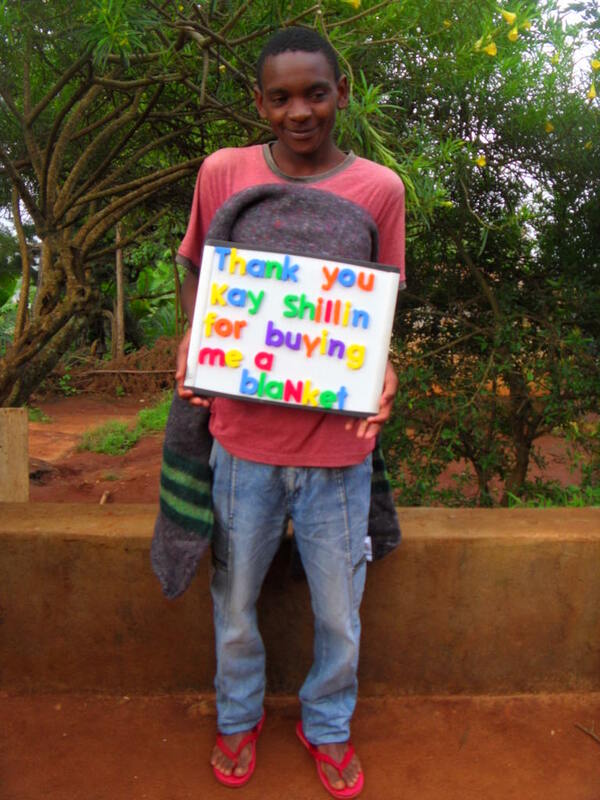 The $14.00 is going to be used to purchase two blankets. 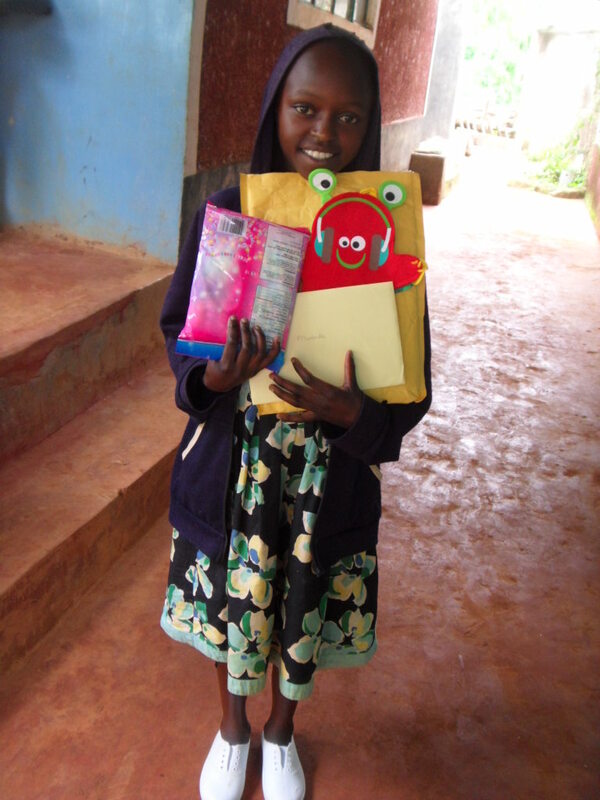 One of our sponsors, Melanie Noordhuis, provided a very generous addition donation to purchase a variety of extra things for her sponsored children. Two young ladies – Elizabeth Barilko and Megha Jose – came up to me after a presentation in Edmonton. 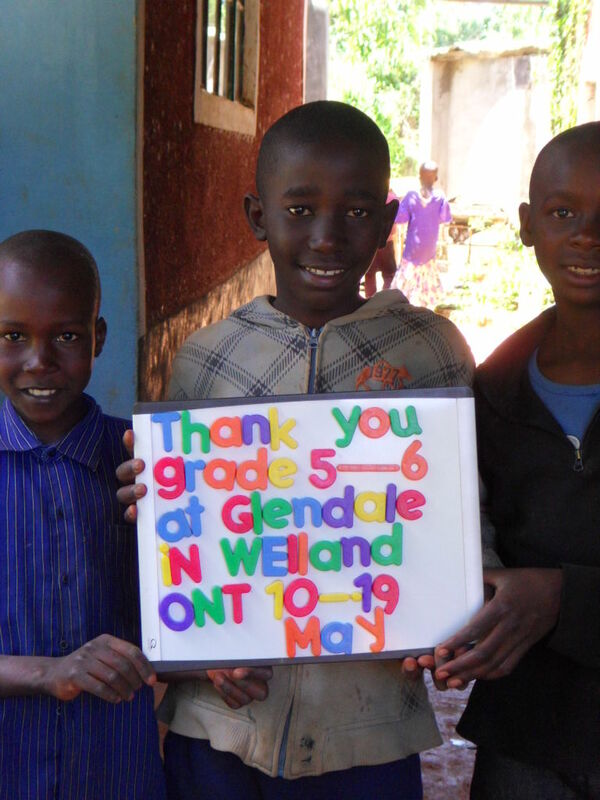 Below is the thank you sign from our children. The money that they donated was used to provide support for the entire Rolling Hills Residence for a day. Barbara Watson also donated for one day of support. 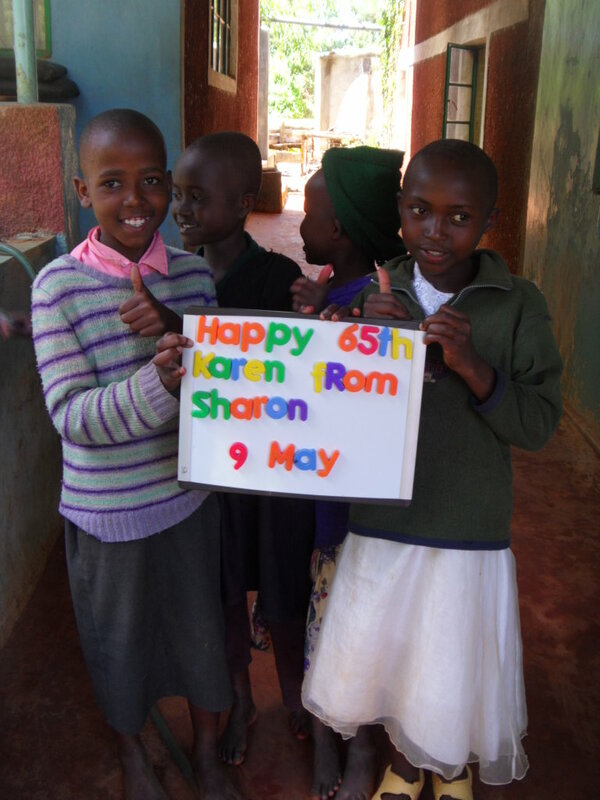 Sharon Freeman has again made a donation in honor of her friend, Karen’s, birthday to support the Rolling Hills Residence for a day. Below are some a small sampling of the signs sent directly to schools or people who have made donations. 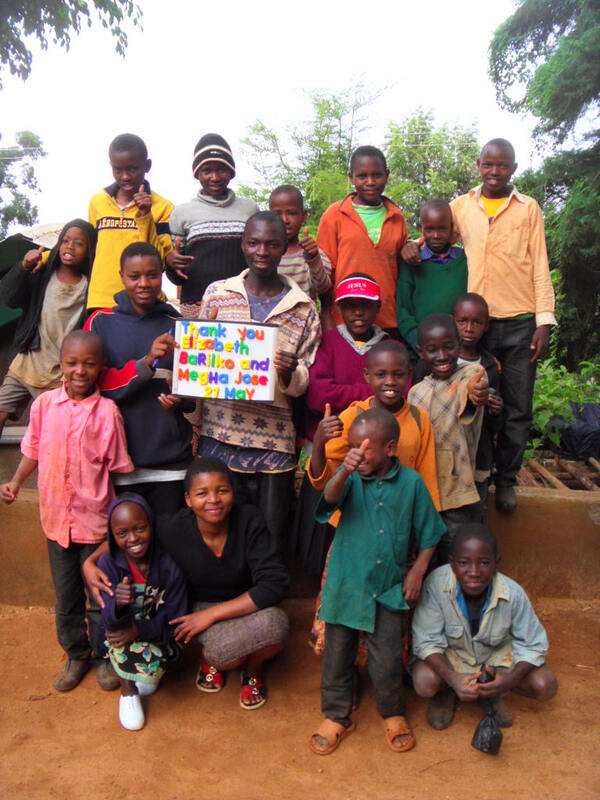 Louise Carberry accompanied us to Kenya last summer and spent time at the orphanage. She noticed that the children loved having their pictures taken and decided she wanted to create something that would capture these memories. 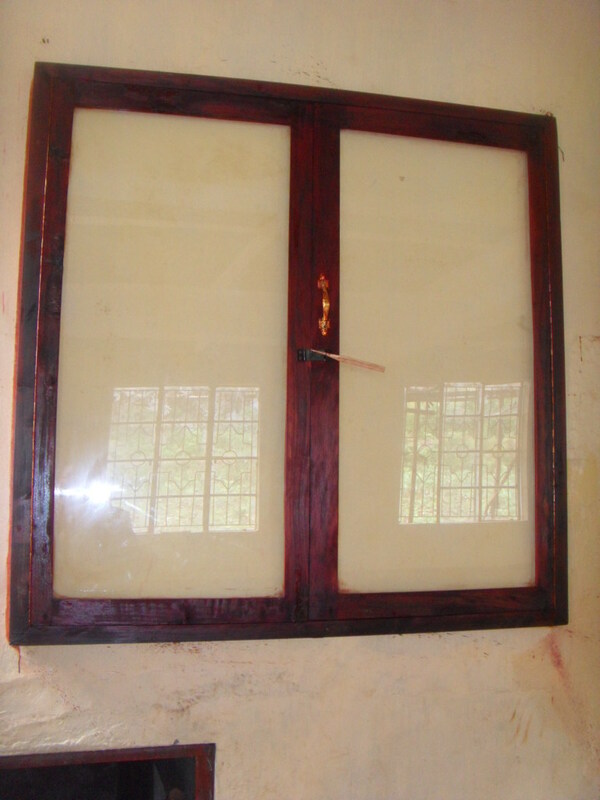 She provided funding for wonderful display cases to be purchased. 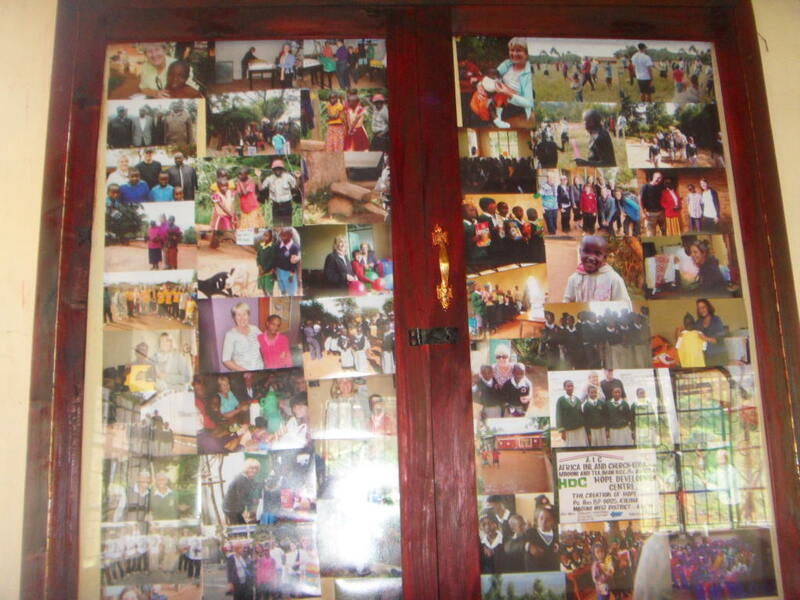 These wonderful memories – which will be continually changed and refreshed with new pictures. A number of our sponsors have created ‘memory’ books for their children. We are investigating the idea of doing this for more of the children. They have a right to know their histories and pictures and memory books would allow this to happen. Sophia Chong made a donation for son’s birthday. Happy 10th Birthday Max! Colton Minich – who is the son of Barb Minich – made a generous donation. 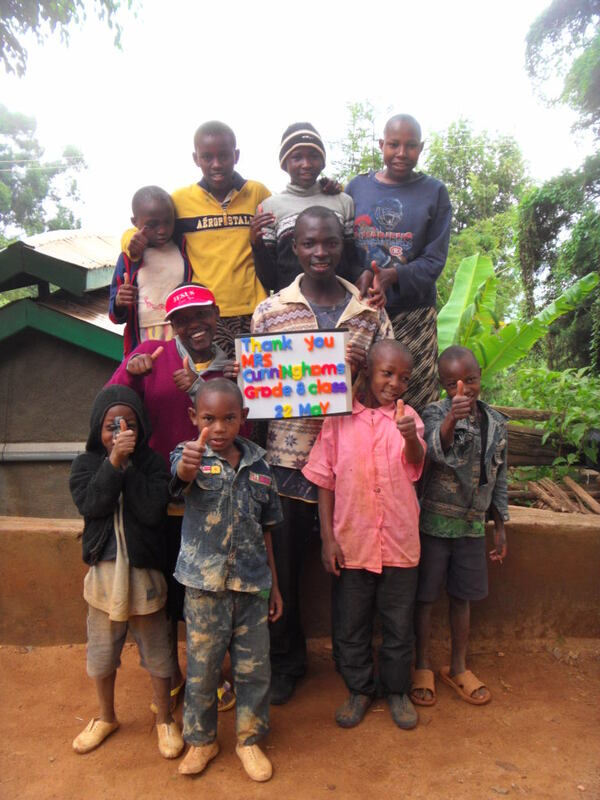 Barb and her family are sponsors and she travelled with us to Kenya last summer. Lucy Haniak made a donation to support the program for two days. 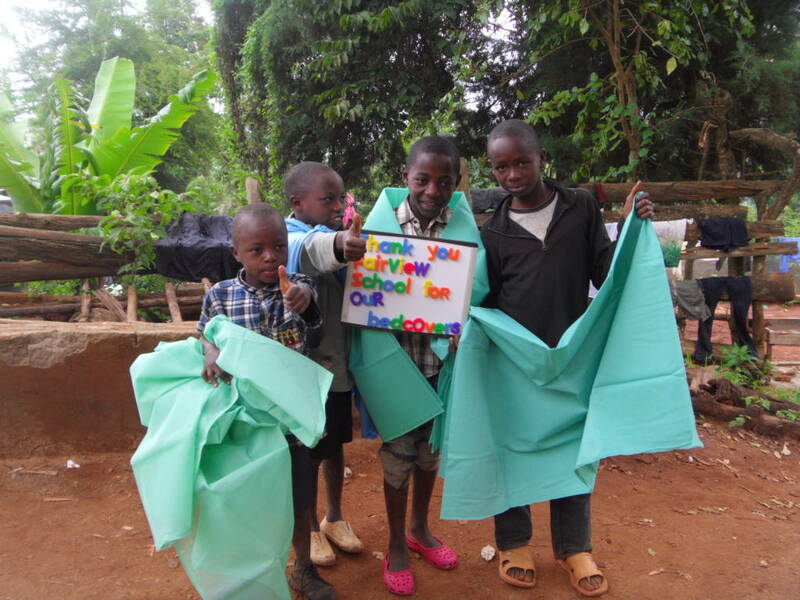 When Sharon Jennings was in Kikima this past March she brought back a suitcase full of ‘granny’ bags. 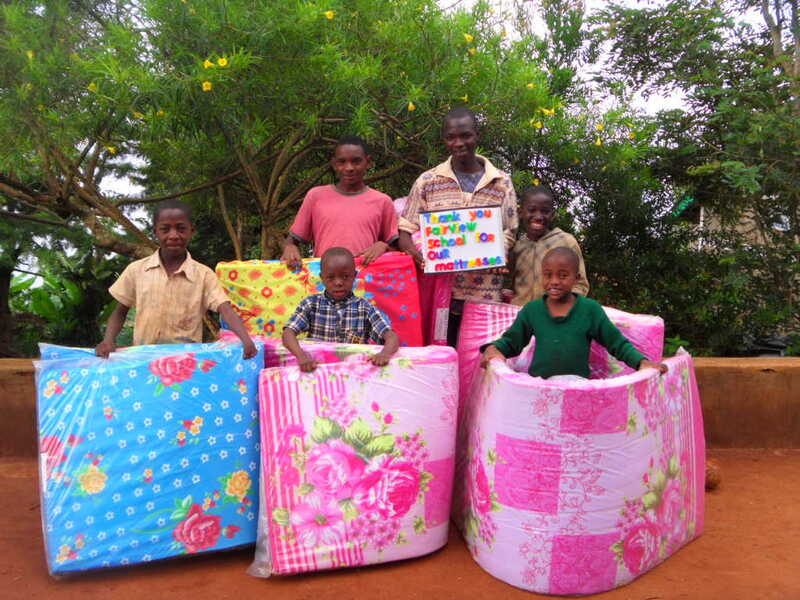 These bags are made by the grandmothers of our orphans. We buy them from them – at above market prices – then sell them here and the profit is put right back – 100% – to the program. We have sold 11 bags and $220 has been made for the program. We still have some left if there are any interested buyers!